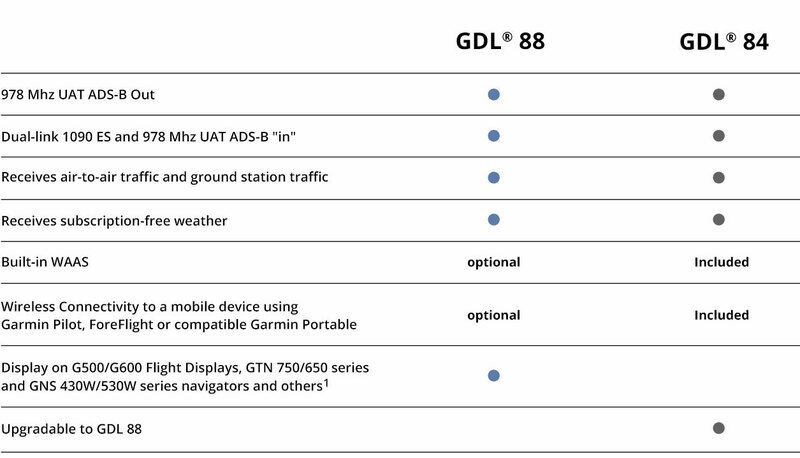 The GDL® 88 is the first dual-link solution for certified aircraft, including many popular makes and models of helicopters, that not only provides a path to ADS-B “Out” compliance for many pilots, but also brings subscription-free weather and advanced traffic display to the cockpit. Under the NextGen air traffic management system, all aircraft in controlled airspace will need to be equipped with Automatic Dependent Surveillance – Broadcast (ADS-B) “Out” technology before the end of 2019. For those who only fly below Class A airspace (18,000 feet) and in U.S. skies, the GDL 88 offers an affordable solution to reaching compliance. And even if you fly above 18,000 feet, the GDL 88 can still give you all the benefits of ADS-B “In” data – consider pairing it with a GTX 330/33 ES transponder for a comprehensive ADS-B “In/Out” solution.With ADS-B “Out”, the GDL 88 gathers information about your position, track and ground speed from either your existing WAAS GPS source or an optional built-in WAAS receiver. It then broadcasts this information to ADS-B ground stations over the 978 MHz Universal Access Transceiver (UAT) frequencies. This gives ATC and ADS-B “In” equipped aircraft a more precise picture of what’s happening in the sky, and allows for more safe and efficient flight routing. 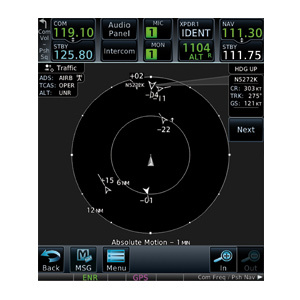 TargetTrend™ technology (available on compatible displays) provides an easy-to-interpret picture of aircraft trajectories. When receiving ADS-B traffic information, this allows you to better predict potential conflicts. TerminalTraffic™ provides pilots with the most comprehensive picture of ADS-B-equipped aircraft and ground vehicles in the airport environment. ADS-B-equipped aircraft in-flight are easily distinguished from ground vehicles and taxiing aircraft, which are displayed using distinct colors and symbols. All of this information is presented to the pilot on a simple, easy to understand SafeTaxi® diagram with reference to runways, taxiways hangar locations and more. Additionally, when configured for helicopter operations, TerminalTraffic helps pilots easily distinguish potential traffic conflicts while in the airport environment by minimizing nuisance alerts from fixed-wing aircraft and abbreviating select alerts while performing unique helicopter maneuvers such as hovering. The advanced capabilities of the GTN series avionics and G500/600 flight displays allows for enhanced functionality with the GDL 88. 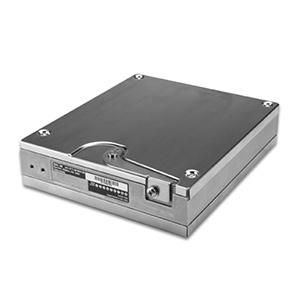 When there are several traffic targets in an area, these devices will declutter the display by grouping the targets and showing only the one that is the highest priority. The pilot can touch a grouped target to ungroup and show all targets in the area. 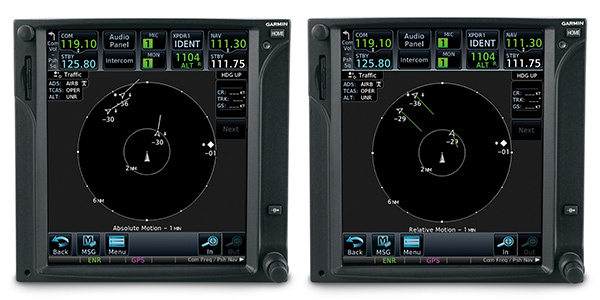 The GTN and G500/600 also allows the pilot to select any target on the display to view more detailed information including closure rate and ground speed. 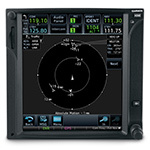 Specifically designed for helicopters, when paired with GTN series touchscreen navigators, On Scene mode reduces nuisance alerts when you’re intentionally operating in close proximity to other helicopters, such as during electronic news gathering, alerting you only when new threats are present. You can still take advantage of the GDL 88’s ADS-B “In” traffic, even if you don’t have a compatible flight display to view the data. When installed in an aircraft without a compatible display, a visual indicator light can alert you when traffic enters your vicinity. Audible alerts tell of a target’s range, bearing and relative altitude (when available). You’ll hear this information through your cabin audio system in an ATC-like spoken format. For example, you might hear, “Traffic: 10 O’Clock, High or Low or Same Altitude, 2 miles.” In most cases, installing a GDL 88 with WAAS can provide a complete solution for ADS-B "Out" while still allowing you to receive some ADS-B "In" benefit -- all with a single product. Built to meet the unique and stringent demands encountered by helicopter operators, the GDL 88H offers ADS-B "Out" solutions while also providing safety enhancing ADS-B "In" benefits specifically for helicopters. As part of our Terminal Safety Solutions, TerminalTraffic for helicopters helps you identify potential traffic conflicts by minimizing nuisance alerts from fixed-wing aircraft and abbreviating select alerts while performing unique helicopter maneuvers such as hovering. And when paired with our GTN series touchscreen navigators, On Scene mode reduces nuisance alerts when you’re intentionally operating in close proximity to other helicopters, such as during electronic news gathering, alerting you only when new threats are present. 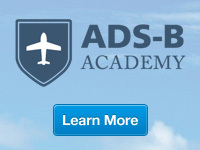 ADS-B requires your ADS-B “Out” source must squawk the same code as your transponder. 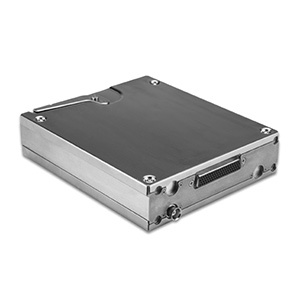 Patented AutoSquawk allows the GDL 88 to be compatible with a wide range of general aviation transponders — synchronizing squawk code and ident to eliminate the need to install a dedicated UAT control panel with older transponders. 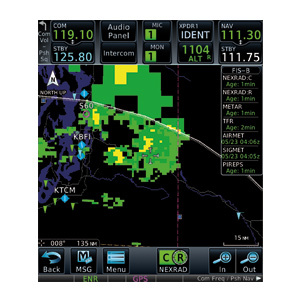 The optional Flight Stream wireless gateway device provides the means to uplink and display subscription-free U.S. ADS-B weather and traffic on your tablet using the Garmin Pilot, ForeFlight Mobile or FltPlan Go apps and on Garmin aera 660/795/796 portables¹. On the weather side, you can view animated NEXRAD imagery, METARs, TAFs, winds and temperatures aloft, PIREPs, NOTAMs and more. Plus, on the traffic side, your device can display moving target symbols and alerts to help you recognize any potential conflict scenarios in busy airspace. 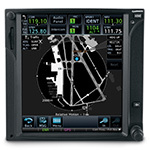 The GDL 88 also supports some ADS-B “in” features on a wide range of other cockpit displays. That means you’ll see TIS-A traffic on G1000 integrated flight decks and some third-party navigators that support the published legacy GDL 90 protocol, as well as FIS-B NEXRAD radar and METAR weather. Power input: 14 or 28 VDC, 20 W max.